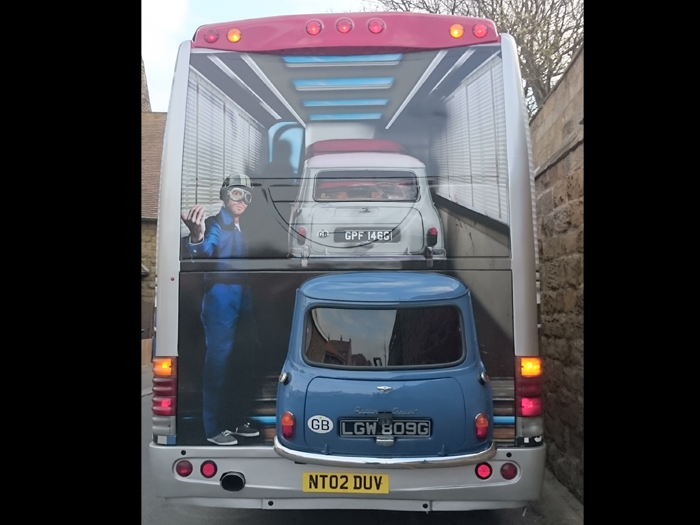 The Italian Job Party Coach has arrived! 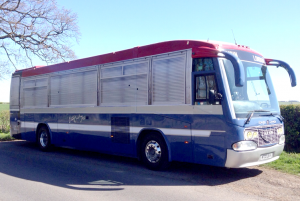 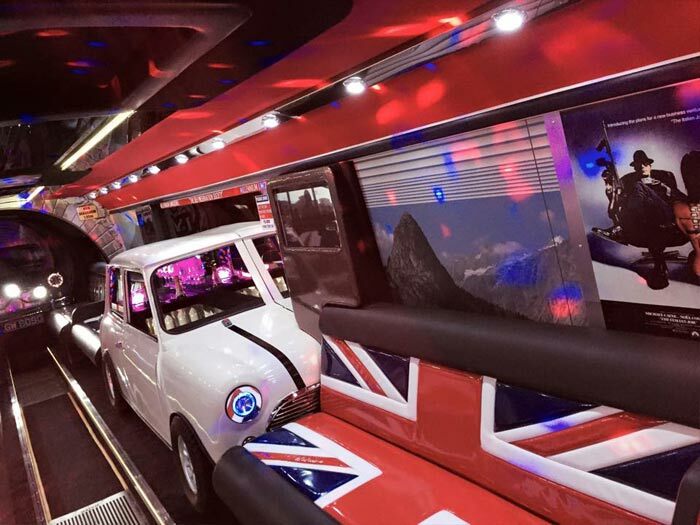 This one of a kind, 30 seater Party Coach is based on the 1969 hit film The Italian Job. 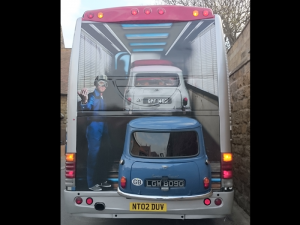 The theme is clear to see from the outside of the Party Coach as it’s been made to look like the Bedford Val bus from the film and the rear is depicting the scene of the minis getting onto the bus. 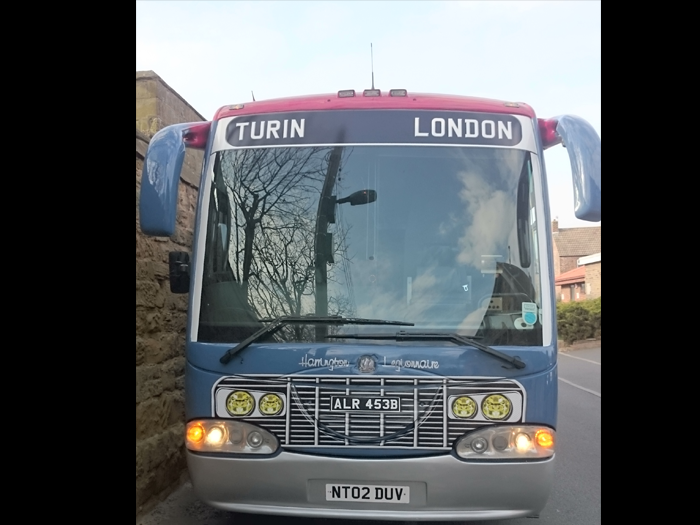 The theme is cleverly brought into the interior with the coach boasting beautiful scenes of Turin out of the windows and the sky light. 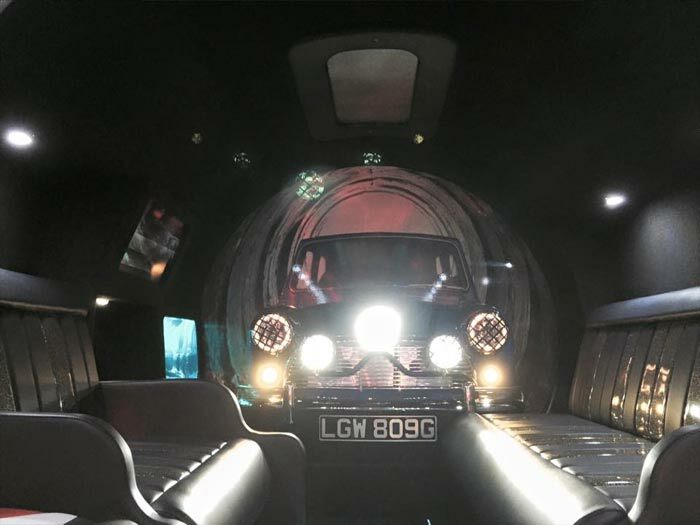 The bar areas have been built into the red and white Minis with your eye being drawn to the blue Mini at the back of the coach, which has been built into a tunnel to showcase the amazing sewer tunnel chase scene. If that wasn’t enough the seats are adorned with the Union Jack and there are posters and sayings from the film dotted around, as well as gold bullion bars! 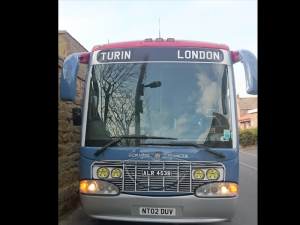 As this is a Party Coach it isn’t just about The Italian Job theme, it’s also about the amazing sound system with under seat subs, karaoke machine, TVs, a plethora of lights and for those long journeys it has air conditioning and luggage storage. 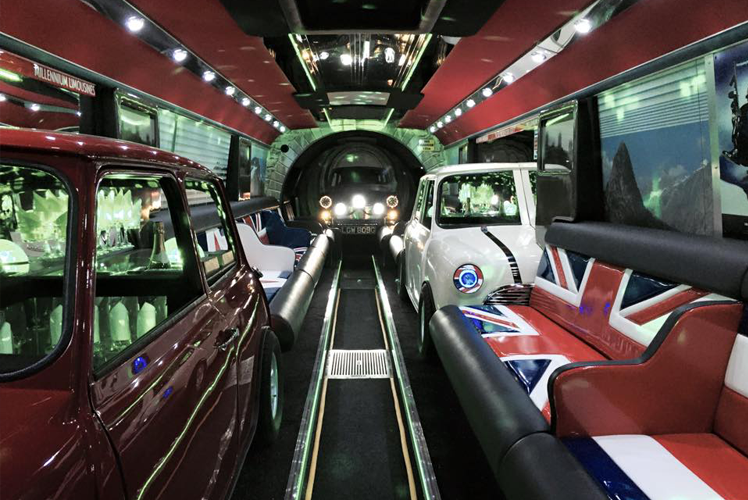 Don’t miss out on the chance to experience this unique vehicle by calling us on 01642 509286.